Facebook's Messenger app makes it easy to communicate via text messages, voice calls, and videos with friends and family right from your mobile device. The Messenger app is a free download from the App Store on iPhone, iPad, and iPod Touch. Messenger works across all mobile and desktop devices, so your friends don't have to be on iOS devices to receive your messages. You can share photos, start a group video call, and send emojis, stickers, and GIFs. Everything is free over a Wi-Fi connection. Otherwise, standard data charges apply. Messenger has become a popular platform for interacting with brands and services too. You can make reservations, check on orders, get your news in Messenger or hail an Uber or a Lyft car right from the app itself. 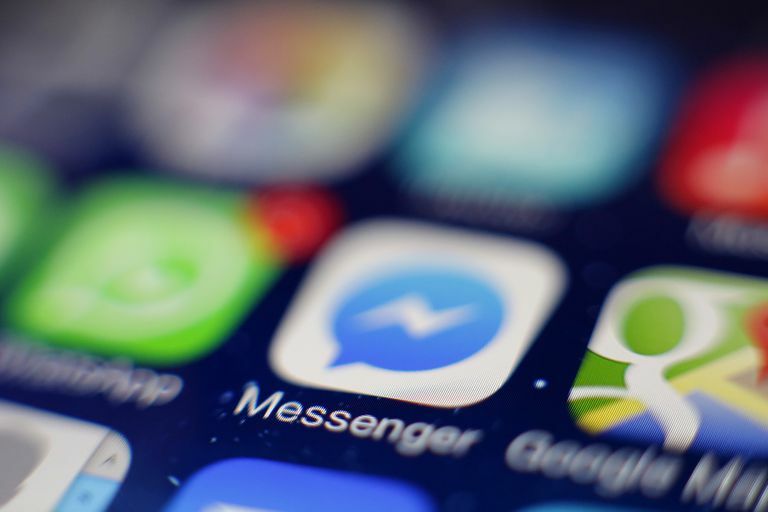 Messenger has grown exponentially since Facebook spun it off into its own app. As of mid-2018, it is the second most popular mobile messaging app worldwide with more than 1.3 billion users, behind only WhatsApp, which is also owned by Facebook. Wi-Fi or cellular web access. Facebook account username and password. Tap the App Store on your device. In the search bar at the top of the screen, type "Messenger" and tap the Search button on the virtual keyboard. Tap the Get button next to the Messenger app to start the download. You might be prompted to enter your Apple ID and password if you have not installed an app recently. The installation process takes about a minute or less, depending on your internet connection and speed. After the Messenger app has downloaded, you are just a tap away from enjoying the exciting world of messaging with your social network friends. Locate the Messenger icon, which appears as a white icon with a blue conversation balloon. Tap the icon to launch Facebook's Messenger app. In the Welcome to Messenger screen, enter your Facebook email address or phone number and password. If you have another Facebook app on your mobile device, the Messenger app may pull the information from there. Tap Continue. The app requests permission to send you notifications. This feature is optional, but it's a good one if you want to be notified when a contact is initiating or replying to a conversation on Messenger. If you permit Messenger to send you notifications, an alert appears on your home screen whenever a new message is waiting for you. Tap OK to enable access, or Not Now if you'd prefer not to receive notifications from Messenger. Once you've finished the setup, you'll see your contacts on the screen. Once setup is complete and you're logged in, tap any contact to see all the messages you've sent or received, whether on the Messenger app or through Messenger on Facebook. Scrolling down automatically loads older messages to fit your screen until you reach the beginning of your messaging history. At the top of the screen, tap the pen and paper icon. Enter the name of a friend in the field. As you type, Messenger filters your friends until the correct one is displayed. Tap the contact's photo or name to confirm the choice. Enter your message in the field at the bottom of the screen. Type one of the icons in the area to add emoji, images, a voice message, a video clip, or one of several other choices. When the message is complete, tap the thumbs-up sign to the right side of the text entry field or the return key if the keyboard is displayed to post the message. When you receive a new message, a small blue dot appears next to the message. Messages without this dot have already been opened. If you allowed notifications during setup, you'll receive a notification that you've received a new message. Tap your image to the left of the search bar at the top of the Messenger app Home screen. Tap Availability in the screen that opens. Move the slider next to Availability to the Off position. In the confirmation screen, tap Turn Off. You'll still be able to send and receive messages, but you won't show as active on Messenger, so your friends will not expect to hear back from you right away. That's it. You're ready to start chatting with your contacts on Messenger.